When considering the value of any residential property, a lot of attention is given to its curb appeal. It’s an industry unto itself – so much so, that countless home improvement shows are devoted to front yard makeovers. That same attention to appearance’s detail, though, is often neglected or ignored completely when it comes to a commercial real estate (CRE) and that is unfortunate. As it turns out, many of the benefits of curb appeal are as important in CRE as they are to residential properties. 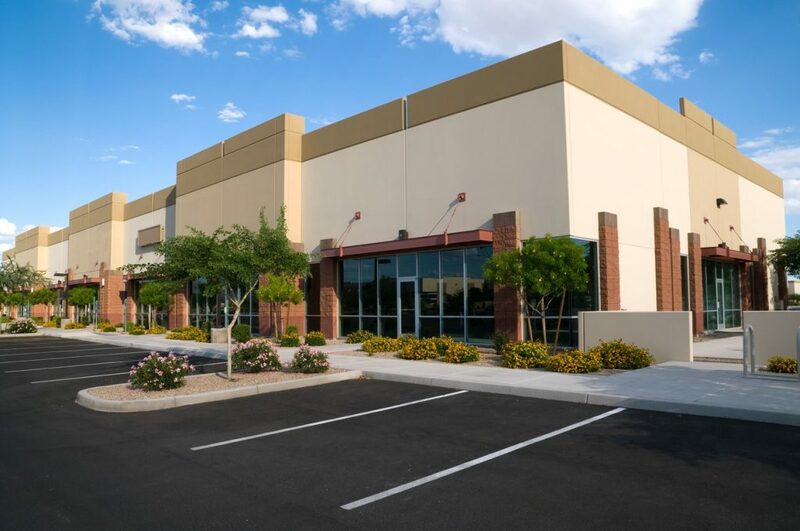 When considering the outside appearance of a commercial property – from retail to multi-family to even industrial spaces – there is, of course, the initial investment. This amount can vary based on how much the owner or investor would like to accomplish. First and foremost, landscape enhancements are another way of increasing a property’s value immediately and long-term. The building interior may need regular upgrades to address changing technologies, but landscaping, if done correctly, continues to add value to a property, particularly as trees grow and become established. At the same time, the first impression of your property can determine outside interest in leasing space. Ignore the outside, and it’s more likely that people – including potential tenants or buyers – will reach a negative conclusion about the building’s owner or manager. Improved landscaping can mean improved foot traffic and business for tenants, which, in turn, leads to a financial benefit for the owner. Study after study has shown that green space is aesthetically pleasing and has a calming effect on people, hence the old adage to stop and smell the roses. Finally, landscaping is good for the environment, especially in urban areas, where the combination of sun and cement can create an urban heat island. Increasing tree canopy or the addition of green parking lots can significantly cool things off – which is why municipalities in South Florida are greening medians and adding public park spaces. What the CRE owner is able to accomplish has a lot to do with available space, zoning, and, of course, budget. That being said, any landscaping improvements will need a degree of maintenance, such as irrigation, pruning, mowing, and edging. These responsibilities can either be added to the in-house maintenance crew or contracted to a private landscaping service. Consider what the property already has and determine how best to utilize it. Do current plantings need pruning? Can they be dug up and moved to another location? Make note of plantings used in large commercial parks and condo complexes and take pictures so a landscaper can match that appearance. If there is a lawn area, ensure that it’s properly maintained or improve its appearance with sod. Investigate alternatives to traditional gardening such as xeriscaping, which means using slow-growing, drought-tolerant plants that will not put a strain on water supplies, and planting South Florida native plants, which are better adapted to local growing conditions. If there isn’t a lot of room for major landscaping, try using large, colorful pottery on either side of the door or along the sidewalk. These can be planted with small trees, shrubs, or seasonal flowers. With many tenants now sharing indoor commercial spaces, extend that shared space outside with a common area for outside working, dining, or relaxing. It’s another way to make a property more attractive for potential tenants. Keep landscaping interesting with plants, shrubs, and trees that can provide color, flowers, or texture. When it comes to trees, keep an eye toward hurricane season. As much value as trees add, they do require maintenance to make sure they’re healthy and safe. Don’t forget about the nighttime appeal of the property. Landscape lighting helps to keep the property looking its best at all hours. Morris Southeast Group is fortunate to be located in South Florida, where there is a 12-month growing period. There really is no excuse to not take advantage of the climate, the wide variety of rugged, low-maintenance plants, and our ability to connect you with landscaping professionals to help you achieve and maintain your curb appeal vision for your CRE investment.